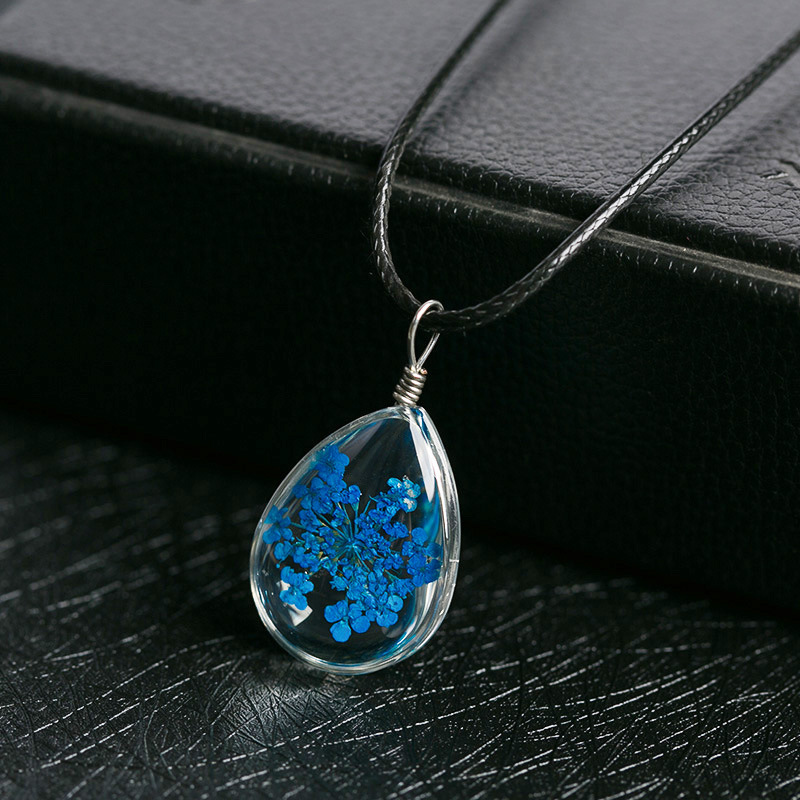 This handmade glass necklace is the perfect way to add some nature to your outfit. The pendant is a 0.9 inches tall and 0.7 inches wide on a 17.7-inch brown cord. Note: Differences in exact appearance may occur due to the handmade nature of this piece.